Finally the first days of spring! It's been a rough winter. There were only a few breaks in the nasty cold/snowy weather, and it's been hard to catch one of those moments, but I did finally manage to get out there! 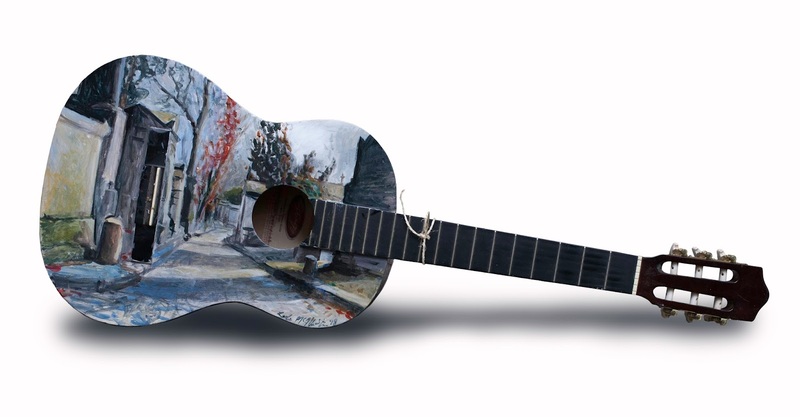 I was so excited to paint on this beautiful guitar I found sticking out of a pile of trash. I wanted to find a very special spot for it, and I think I did. 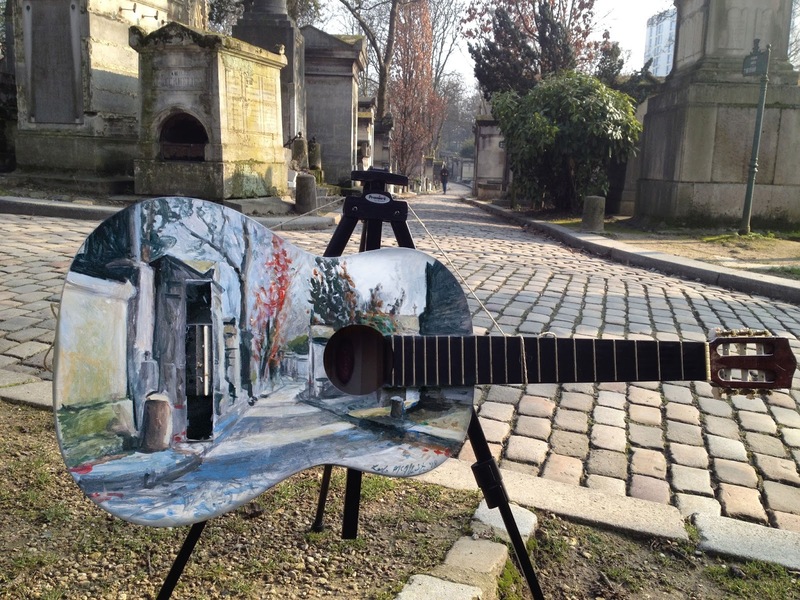 I took it into the Pere Lachaise cemetery! I'll need your help though, as I'm afraid the caretakers of the cemetery will be apt to toss this one back in the trash again as soon as they see it. They stopped by several times while I was painting it to make sure I wasn't planning to play it. I fear that if I'n not there to defend it, it might get tossed out rather quickly. So I've left it early in the day, leaning against a tree, out of direct sight from the path that the guardians were taking. I hope there's enough time for someone to find it! And if you do, then please let me know! This painting, acrylic on found guitar, 100cm x 37cm, was left at the intersection of Avenue Casimir-Périer and Chemin Serré, inside the cemetery Père-Lachaise in Paris, on March 21st, 2018, at 1pm.